Microsoft’s first Lumia smartphones that run Windows 10 Mobile are out there in the market and what came as a big surprise was Windows Phone getting support from unlikeliest of countries — Japan. Well, the buzz says that in the past few days two Windows Mobile 10 handsets have gone on sale in Japan and there’s the entry-level ¥12,000 ($104) Katana 01 from Freetel, and electronics retailer Yamada Denki’s ¥39,800 ($324) EveryPhone, which at 6.9mm thick is labeled being the thinnest Windows phone ever. Both of the devices are considered uninteresting apart beside their novel combination of software and origin. 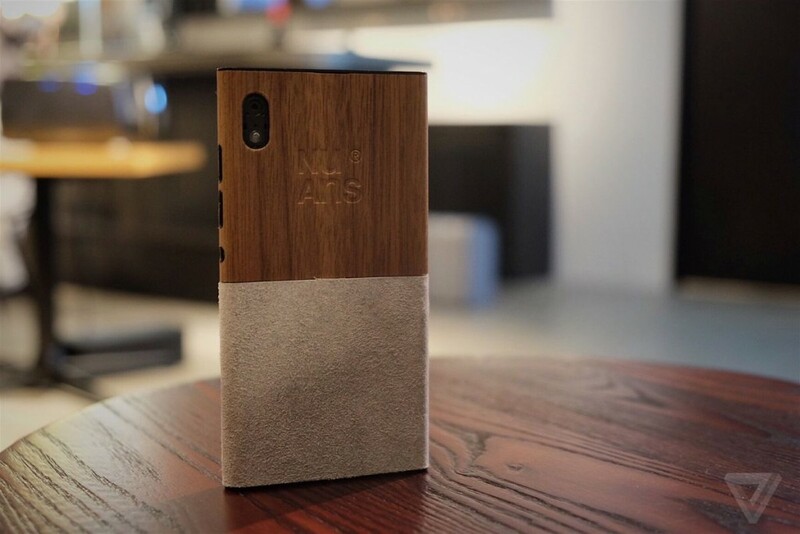 However, now there’s a Japanese Windows phone with unique design, launched by a company that’s never even made a phone before – NuAns Neo. Well, NuAns Neo is certainly a unique phone with impressive 11.3mm-thick frame marking a deliberate attempt to step out of the thinness arms race. It’s an appealing phone, something different from cold, sleek aluminum of an iPhone. It’s a refreshing change being quite comfortable to hold in hands. Well, the question still remains that why new Windows phone popping up in Japan, of all places? Going by the word, it’s down to the company’s iOS heritage. NuAns, which stands for both “nuance” and “new answer” is a new brand representing a collaboration by Simplisim and Tent, two sub-brands of a small Japabese company called Trinity. NuAns Neo was designed keeping in mind that none of Android-based iPhone alternatives really captured the advantages of the iPhone, this is why Trinity chose Windows 10 due to the seamless software experience across devices, including the Continuum feature and its stronger security than Android. This is the dream phone for anyone who designs phone accessories and it’s sold as the “Core”, without a back panel, with there being two types of NuAns covers, like the wallet-style Flip and a variety of Twotone square panels. Flip can be used as an integrated kickstand and is far slicker than the average external wallet case, while the Twotone panels are made from materials like ultrasuede, Tennâge wood sheer and Clarino synthetic leather. Coming to the internals, they are not that captivating. There is a Snapdragon 617 processor and a 5-inch 720p display that fails to impress technically, then there is a 13-megapixel camera with an f/2.0 lens; 2GB of RAM; and a USB-C connector. What leaves a mark is the hefty 3, 350mAh battery that’s far more than you’d expect a 5-inch phone to have. Sources say that NuAns will be going on sale in January at ¥39,800 ($324), while you’d need to pay from ¥1,400 ($11) for Twotone parts or ¥2,970 ($24) for the Flip case.